This is the moment many of us have been waiting for since the announcement of Tom Clancy’s The Division 2 some months ago. Although Ubisoft has its own media briefing later this day, they have finally revealed very first details about the game, including the release date on March 15th, 2019, an upcoming beta, as well as a 6 minutes long gameplay video at the Microsoft Xbox E3 2018 briefing. 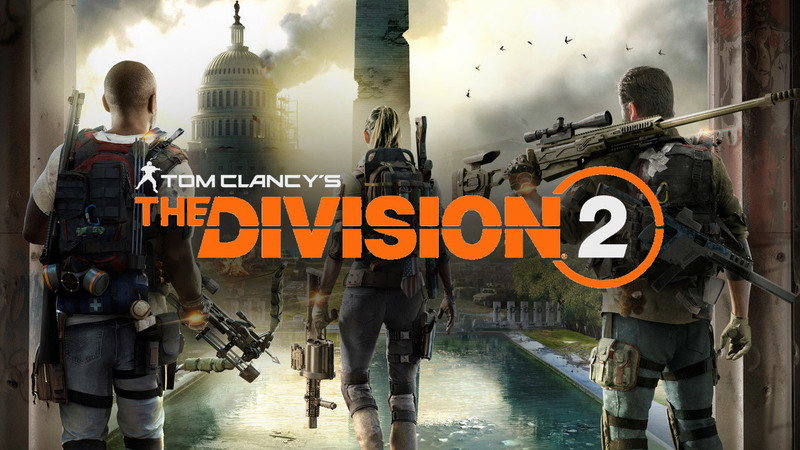 The Division 2 is a sequel and plays seven months after the deadly virus hit New York City. When the virus hit, The Division, a unit of civilian sleeper agents, was activated as the last line of defense. Washington, D.C., the capital of the United States of America, is the most heavily protected city on earth – and now at risk, leaving the entire nation on the brink of collapse. As an agent of The Division, it’s again you and your team’s task to stop the fall of society after the pandemic collapse. The trailer itself already gives a glimpse of what players can expect from the new location and its iconic places. The game’s setting has now changed entirely, Winter is over, snow has melted and agents have to deal with high temperatures during one of the hottest summers. The Division 2’s Washington D.C. is a 1:1 representation of the real city, making the game world more authentic than ever. The game’s map offers up-close-and-personal views of landmarks, natural landscapes, neighborhoods, and enemy hideouts. The Division 2 will be rich of different environments and offer full verticality, starting with urban underground areas similar to the tunnel systems in NYC, to historic sites and landmarks like the US Capitol and Washington Monument, while going all the way back up to the city’s rooftops. Besides the “Aftermath” trailer, Ubisoft has also published a 6 minutes long gameplay walkthrough video which shows a team of agents making their way through a very jungle-like and super refreshing new environment with lots of vegetation – the United States Botanic Garden – to a crash site right in front of the Capitol. On their way to a side mission, the team is facing a Control Point – a crash site of the Air Force One. The way they are approaching and clearing this control point reminds of the clearings of extraction points in the DZ, considering the usage of a flare gun at the very end. However, once the flare got fired into the air, the Hud updates and shows “Allied inbound”, including the distance they are away from this group of agents. We can only speculate what this means and this is by far not all the trailer is showing in terms of new features (like the crossbow, grenade launcher, drone skill – just to name a few of them) and other new things The Division 2 will introduce. That being said, you can expect more articles very soon that will take a closer look at each of these topics. 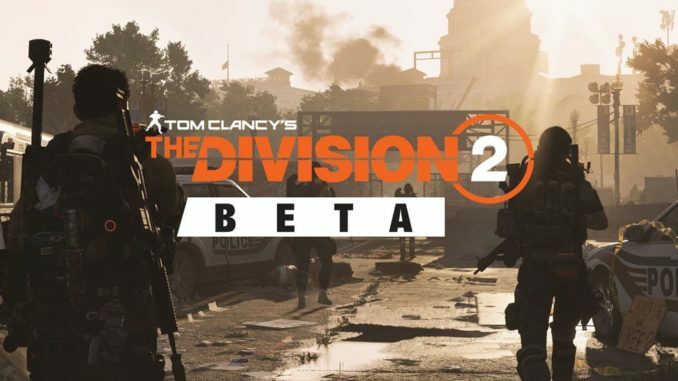 There will also be a beta for The Division 2 on Xbox One, PlayStation 4 and PC, for which you can register right now. Just follow this link www.thedivisiongame.com/beta and get a chance to be one of the first to play the game. Good luck! Although the Dark Zone hasn’t been explicitly mentioned yet, an official description hints that the experience will be very different and more exciting for all players, apparently independent of the players’ level of progression. It almost sounds like that the developers want to transform this multiplayer experience into actual PvP combat, without this strict gear, skill and level dependency The Division (1) currently requires you to have in order to be able to compete with other players. In Tom Clancy’s The Division 2, this playground was designed to provide a fair and exciting experience to all players, regardless of their level of progression. According to a new tweet, the developers are planning to reveal lots of more information in the upcoming days. Check out the schedule below. Agents, we will be streaming live from E3 for two full days, starting on Tuesday, June 12, covering all things #TheDivision2 ! We hope this gives you a rough overview of what has been published so far, but stay tuned for more detailed coverage during the next days!